Provide opportunities for people to develop the ability to practice group relations conference consulting. Ensure that conference staff members are able to work at the level of sophistication and excellence to which AKRI aspires. 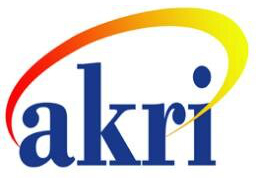 Upon completion of the program, trainees will be certified to consult at any AKRI or AKRI co-sponsored conference. Mentored competency development, criteria-based feedback, and Consultant Candidate assignments in Group Relations Conferences are the core aspects of the training. Achievement of the competencies will be assessed in a variety of ways designed to further learning: By the applicant, his/her mentor, the T&C Committee and, in the final stage, by staff members of the Group Relations Conferences in which trainees serve as Consultant Candidates. AKRI also believes that the conceptual framework and skills developed through the training will increase trainees’ effectiveness across a variety of work roles. Being able to effectively take up a “consultative stance” can be an aspect of leadership from any role. It is excellent preparation for understanding and negotiating leadership and authority in groups and organizations of all kinds. There are three tracks to certification, based on the applicant’s level of experience and knowledge. The Full Program is described immediately below. Experienced applicants who may qualify for accelerated certification will find descriptions of the Fast Track and Direct Certification described following the Full Program description. Fees: The cost of the Full Training Program is $1200, due in four installments. The cost of the Fast Track Program is $900, due in three installments. For Direct Certification, $100 is due with the application. These fees cover administrative costs and others costs of the training program. All fees are subject to change over time, however changes will not impact those already accepted into the program on a specific fee schedule. Please note: Before the Committee will review any applications, applicants must be an AKRI member. The process for joining is described in the “Membership Section” of the website: www.akriceinstitute.org. B. Applicants submit a narrative statement describing their interest in the training and certification process, listing any previous group relations conference experience. C. Two professional colleagues, at least one of whom must be an AKRI Member in good standing, submit assessments of the applicant’s current skill level across the six preliminary competencies. D. A fee of $300 is due at the time of application. Applications will be reviewed by the Training & Certification Committee and applicants will be notified of the Committee’s decision by email. The second $300 fee is due when an Applicant is accepted. Applicants not accepted will be provided with recommendations should they wish to reapply. Trainees begin by working on the introspective and intrapsychic skills needed to support good boundary work in their consultation to groups. Upon acceptance, trainees will need to find a mentor. Mentors must be chosen from a list of approved AKRI mentors which can be found on the website under the “Training Tab.” While securing a mentor is the responsibility of the trainee, the T&C committee is available to offer advice. Trainees will also receive a complete set of Group Relations Readers (Vols. 1-3) and links to two required webinars. These materials offer a basic grounding in the theory, history, and literature of group relations consultation in the Tavistock tradition, as well as an opportunity to observe and consider group dynamics in a small study group within a conference. When trainees believe they are ready, they may apply for Consultant Candidacy status by submitting a self-assessment that involves a narrative description of each of the competencies required to work as a Consultant Candidate, specific examples of their attempts to apply them, what they learned from each attempt, and how they used that knowledge. The self-assessment form – Request for Advancement to Consultant Candidacy - can also be found at the AKRI website under the “Training Tab”. This is completed in collaboration with the candidate’s mentor, who sends a brief endorsement. The third $300 payment must accompany the Request for Advancement. If, for any reason, the Training & Certification Committee does not advance the trainee to Step 3, the Committee will provide clear guidance on what competencies the trainee needs to further develop. For the final step prior to certification, candidates will work as a consultant in two AKRI-sponsored group relations conferences. If a Consultant Candidate is invited to work in a consulting staff role at a group relations conference that is not AKRI-sponsored, such as a university sponsored group relations conference, the Consultant Candidate may request, before the conference, an exception to allow that work to count as one of their two conferences for certification purposes. That request, including a conference brochure, needs be submitted in advance to the Training and Certification Committee in writing at [email protected]. After at least two conference experiences, the Consultant Candidate may submit a Request for Certification. A supporting statement for certification from the candidate’s mentor. A fee of $300 is due when certification is requested. If for any reason the trainee is not certified, the Training & Certification Committee will provide clear guidance on what competencies the trainee should further develop. Fast Track applicants must have at least three prior group relations experiences, including at least two conferences attended as a member, along with participation in another conference as an administrator, member, or staff member; coursework; or group relations training experience. A. Applicants assess their current skill level across thirteen competencies that form the foundation for group relations consultation at the Fast Track level. They can be found on the AKRI website, under the “Training Tab,” in Part III of the Initial Application: Fast Track – Assessment of Core Competencies. B. Applicants submit a narrative statement describing their interest in the training and certification process, listing all previous group relations conference experience in line with the requirements above. C. Two professional colleagues, at least one of whom must be an AKRI Member in good standing, should submit assessments of the applicant’s current skill level across the thirteen competencies. Fast Track applications will be reviewed by the Training & Certification Committee. Applicants will be notified of the Committee’s decision by email. Accepted applicants find a mentor who must endorse the applicant’s readiness for Step 3 (see above in the “Full Program” description). While securing a mentor is the responsibility of the trainee, the T&C committee is available to offer advice. Applicants accepted into the Fast Track program will receive a complete set of Group Relations Readers (Vols. 1-3) and links to two recommended webinars. Fees: A fee of $300 is required with the submission of the initial application. A second fee of $300 is required upon acceptance. Fast Track training begins at Step 3 of the Full Program (see above) and involves both Step 3 and Step 4 of the Full Program. 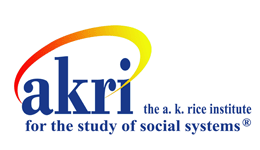 Individuals who have extensive experience as a staff consultant or Director of group relations conferences may be considered for immediate acceptance as an AKRI-certified consultant by applying for Direct Certification. Applicants should submit a detailed description of their group relations experience, two letters in support of immediate certification from qualified, certified AKRI members. Application forms can be downloaded at www.akriceinstitute.org in the Training section. Please feel free to contact the Training & Certification Committee at [email protected] with any questions.